The innovative 2017 Range Rover Evoque features an exciting variety of Driver Assistance Aids to help the driver enjoy their driving experience. These aids help make driving easier and potentially safer. 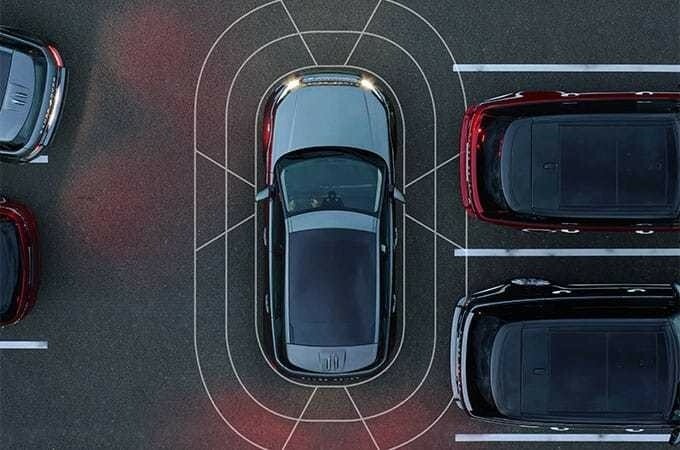 Full Park Assist- This system makes parking so easy and works great for either parallel or perpendicular parking. Surround Camera System- This system provides a nearly 360-degree surround view which allows you to see potential dangers around the vehicle. This is especially helpful while backing and parking. The system allows you to see areas that would normally be out of the driver’s sightline. Blind Spot Monitoring- Alerts you when there is a vehicle in your blindspot or one rapidly approaching the blindspot. Adaptive Cruise Control- Set your required travel distance from the vehicle in front of you and the system will do the rest! It will brake and accelerate as needed to maintain the pre-set travel distance. Traffic Sign Recognition- Pertinent traffic signs will display in the instrument cluster where the driver can more easily see them. Visit Land Rover Colorado Springs today for a test drive! We have a super selection of the 2017 Land Rover Range Rover Evoque for you to choose from.